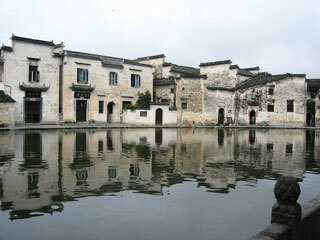 The two traditional villages of Xidi and Hongcun preserve to a remarkable extent the appearance of non-urban settlements of a type that largely disappeared or was transformed during the last century. Their street plan, their architecture and decoration, and the integration of houses with comprehensive water systems are unique surviving examples. This article uses material from UNESCO World Heritage List article "Ancient Villages in Southern Anhui - Xidi and Hongcun", which is released under the Creative Commons Attribution-Share-Alike 3.0 IGO License.